For many nonprofits, it’s the best of times, and the worst of times. The tech revolution has allowed nonprofits to leverage new tools –allowing them to reach potential clients, as well as their community of investors. However, rising political tensions and extreme budget cuts have obstructed the public sector‘s ability to utilize the internet efficiently in order to deliver on social services. The good news is that the internet is still in its infancy, and the most efficient and scalable solutions for nonprofits are available via the internet and are still being developed as we speak. 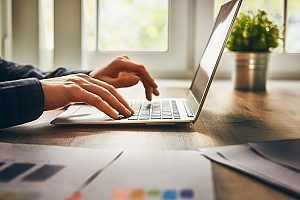 Below are five key ways you can utilize the power of the internet in the nonprofit sector to help your organization do more good in the world! Many nonprofit leaders and their employees want to adopt technology. However, few integrate technology into their organizational structure. Innovative technology solutions work to remove barriers for job responsibility expansion, as well as enable workers to be more efficient, which stretches your organization’s essential donor dollars. You can track outreach campaigns, action items for grant writing or community engagement. While it may be more difficult, there are numerous online resources available to achieve this goal. 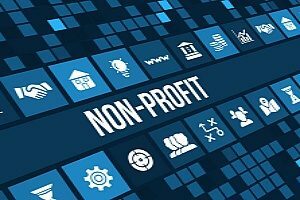 For many nonprofits, a vital piece of the puzzle is to create public value, which requires organizations to utilize data in order to figure out how technology heightens their effectiveness. Website presence and performance are becoming very important for many startups and existing organizations to attract new donors, volunteers, and develop outreach initiatives and funding campaigns. The internet provides you with the ability to choose the right message, at the right time, and across the right medium to engage customers and prospects. Now, you can set up volunteer networks anywhere in the globe. Both Millennials and Generation Zs want to make an impact – and want to volunteer. The internet gives your organization the ability to set up diverse volunteer network anywhere around the globe. Nonprofits are always fighting against cost. Services like storage, connectivity, software, donor databases, etc. all add up. Make sure you are super-efficient and take employee application use, day-to-day tasks and projects into consideration. This could save you money in the long run. A strategic use of technology will allow your organization to increase the efficiency and effectiveness of its work and the impact on its mission. Contact a trusted IT Support partner like Network Depot and a telecom solutions expert like CNSG if you’re looking to move up the learning curve and become comfortable with technology adoption.